Click here for details of the Anniversary Month Celebration package. The championship courses at Wild Horse Pass–– Devil's Claw and Cattail––are two of the most spectacular and challenging in the Phoenix area golf mecca. On the rolling terrain are groves of cottonwood, mesquite, saguaro cacti and Palo Verde trees, tufts of native grasses and multi-tiered greens. On a beautiful desert open space on the Gila River Indian Community, the 500 room Sheraton Wild Horse Pass Resort & Spa is a luxury destination resort that showcases the heritage, culture, art and legends of the Pima and Maricopa Tribes. Founder/editor of BestGolfResortsofTheWorld.com, Karen Misuraca is a travel and golf writer from the California Wine Country. 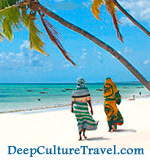 She blogs golf travel here and writes about cultural travel at DeepCultureTravel.com. 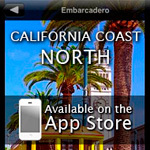 Check out Karen's new iPhone app, California Coast North.